Today my 4 1/2 year old requested that we use straws to create sand dunes. He said we should put sand in a box, and use the straws as wind. I’m not sure where he did this activity before- maybe preschool last year? But wherever it came from, it was a winner! As we set up, I told him the sand dunes we saw at the beach this summer were formed by wind blowing sand or water flowing. In our activity, we would be playing the role of the wind, blowing through the straw to imitate the wind blowing across the sand and forming the dunes. A small plastic container: We put a layer of sand in the bottom of the container, and blew through straws in one direction, creating hills of sand. This version worked best because the edges of the box kept the sand contained. A piece of cardboard: We used a straw to blow on a piece of cardboard, without any walls. 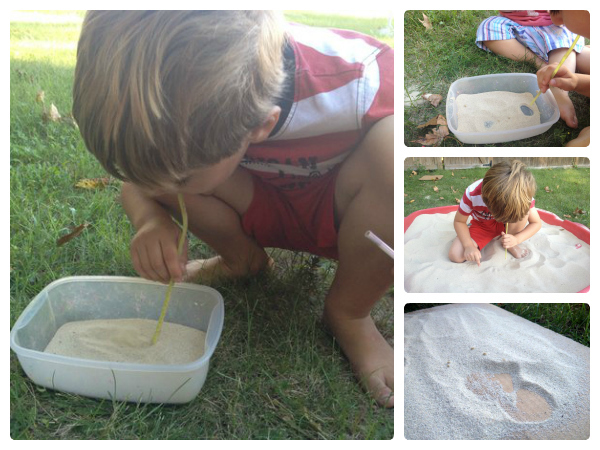 The sandbox: This created the greatest scope for our dunes, but left a lot of ground to cover! 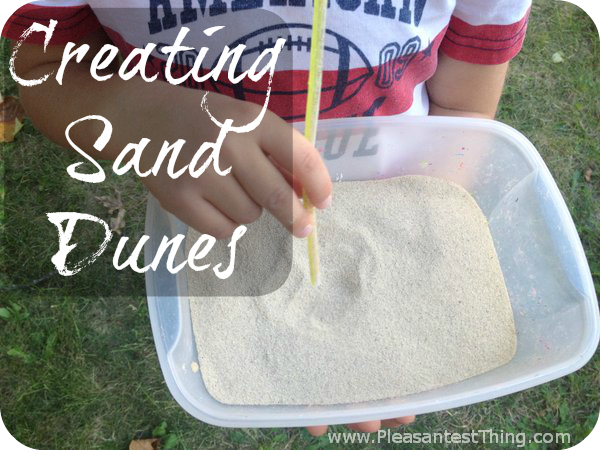 If you try this activity, be sure to keep the blown sand from getting into little eyes.